Team Trap #1: Messing with the membership - esther derby associates, inc.
One summer, long ago and far away, I was on a softball team. It would be an exaggeration to say I played softball, but I did participate in practices, showed up for games and imbibed of the general post-game joie de vivre (beer). There were a lot of team members like me. It didn’t matter so much if everyone turned out, or if some people didn’t show. Friends of friends were invited. They might play half the season and then disappear. It didn’t matter because it wasn’t about reaching a goal, it was about socializing. Too many teams have boundaries like that softball team. It’s never clear who will show up, and who the team can count on to play. If you care about getting work done, don’t mess with team membership. The fundamental criteria for a team is stable membership. To be a team, people need to know who the team members are. 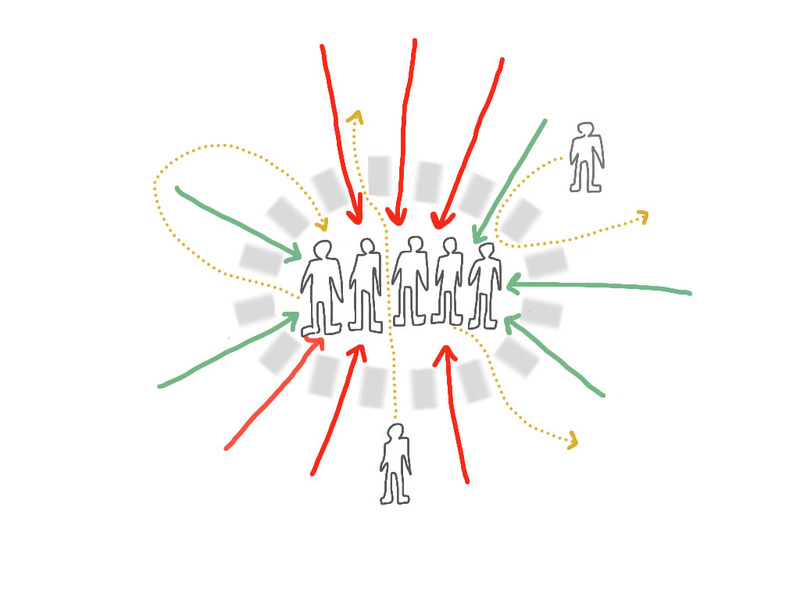 Weak membership boundaries make it hard for any team to do it’s work. Unstable team membership leads to miscommunication and misunderstanding. And that adds up to time and money. Team members can’t be mutually accountable if they don’t know who is makes up “we” when they commit to deliver. Some organizations assign people who in between projects (or managers) to what ever team seems (operative word “seems”) to need more staff. This is the warm-body theory of staffing, that holds that you can plug a person with roughly the right skills into a team and achieve productivity right away. (There’s a related fantasy, that full utilization is desirable and efficient). The reality is that plugging people into a team creates a revolving door effect and the effort to bring people up to speed slows down productive work (see Brook’s law). In terms of getting work done (and keeping people engaged) organizations are better off it people who are “in between” work on their own special projects, attend training, or just take a breather. The belief that a group can start working at full potential the first week they are together is a fantasy. It’s also a fantasy that teams can function with who ever shows up. I have suffered from the ever changing teams before. Even trying to implement Agile processes I’ve been forced to gain or lose members. Just when you get used to the team, who is good at doing what and developed the teams dynamic it is changed. 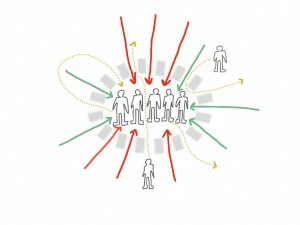 Better to move the work between teams than members between teams. You will also experience the similar problems when changing teams quite often. But in the real world, does this actually happen these days? I haven’t seen it in a long time. Instead, it’s run a very lean time of permanent employees, and plug in contractors continually. A the end of the project, the contractors goes away. Next project – new contractors, and a new learning curve.